A Korean Aussie adoptee goes back home for the first time. Hilarity ensues? I spent a few days in Busan during December. I’m in love. Busan is a big city on the south east coast of Korea featuring picturesque beaches and mountains. I hadn’t been there since my first time last year – which, as you may or may not know, was quite a dramatic time. So it was nice to come back and just have fun. There’s something a bit different about Busan people. 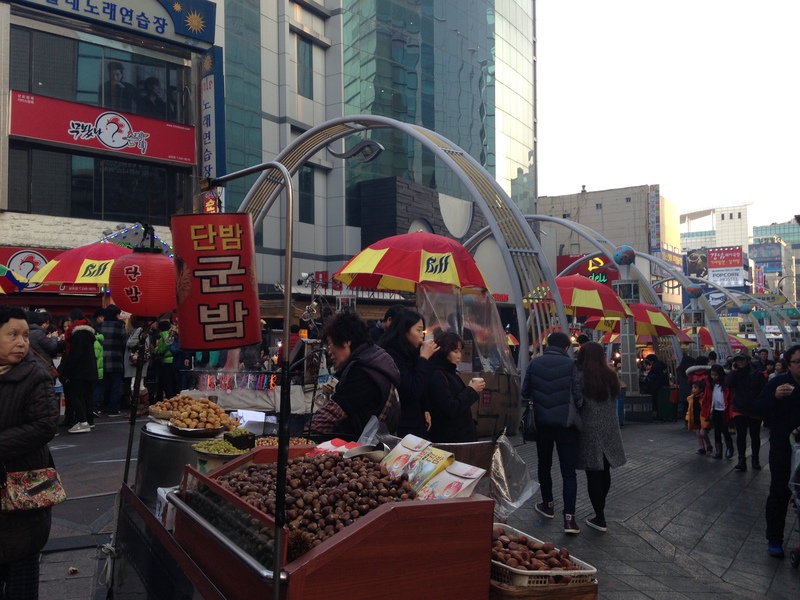 That Gyeongsang accent sounds angry – but throughout my stay, Busan locals seemed much more talkative and friendly than anywhere else in Korea. They also look different to the fancy folks in Seoul. More down to earth, more approachable, less makeup and plastic surgery. Maybe it’s that salty sea air and the wide streets that make Busan such a nice place to be. Epik High are a hip hop trio who have been around for over 10 years. Some of their songs are sassy, sweary, party numbers, while some others are classy hip hop ballads. For a group who don’t look or sound like a cutesy Kpop boyband with immaculate skin and hair, Epik High are enormously popular in Korea. 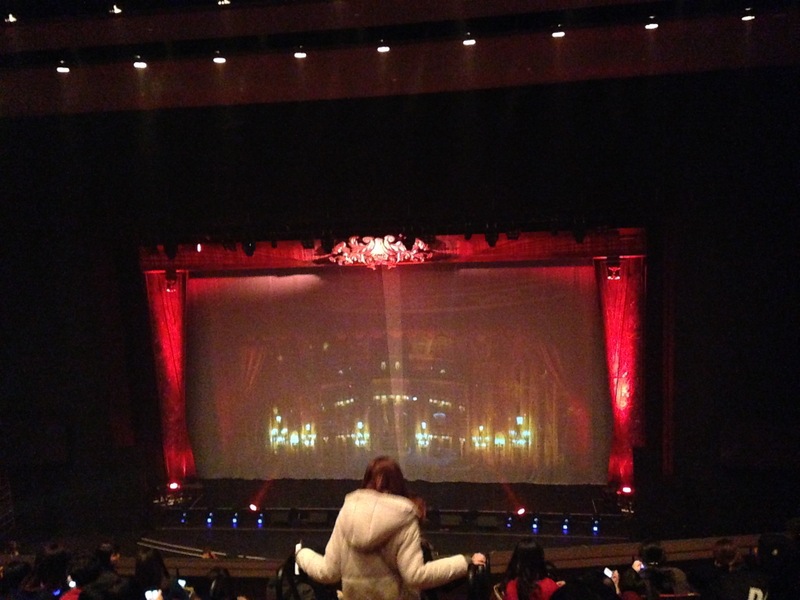 Epik High were performing in the Centum City Lotte Card Hall, which looked like an old-fashioned theatre complete with a wood polished stage and red velvet curtains. This was a stark contrast to the last hip hop concert I went to – Snoop Dogg playing in a dingy, sticky old nightclub in Brisbane. 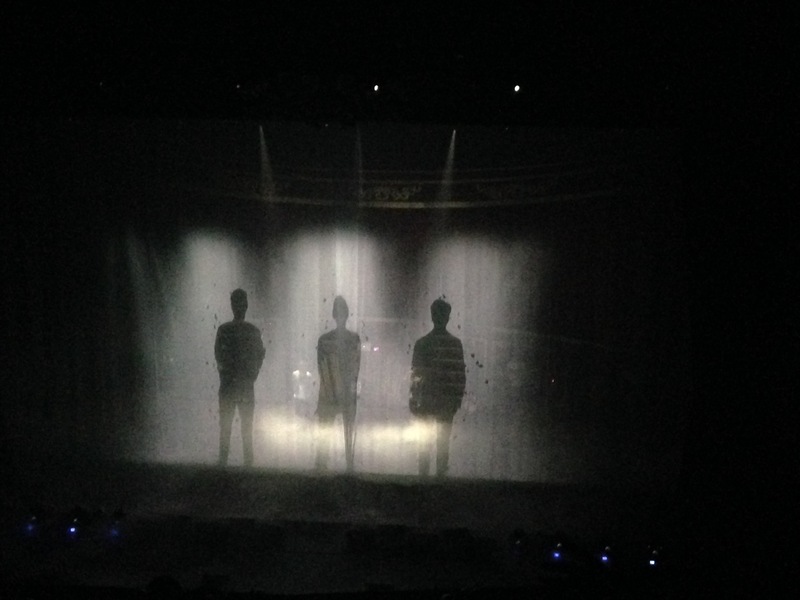 A short film of Epik High’s history was projected onto the curtains accompanied by a sensitive piano piece. It was the classiest hip hop show I’d ever been to. Epik High and hoodie-clad backup dancers bounced on stage to hysterical screams. 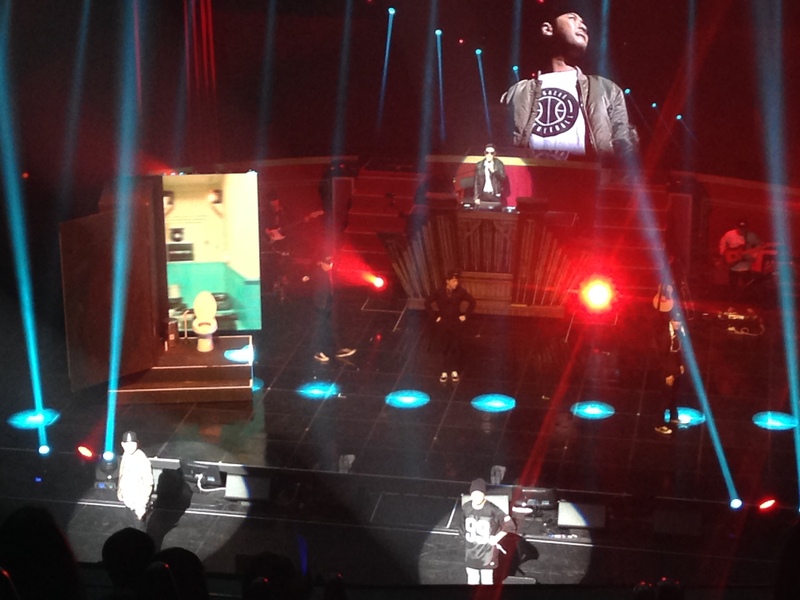 In between songs, Epik High introduced each other dramatically with the Star Wars theme playing in the background. They pretended to breakdance, adorably made fun of each other and danced with the audience. They introduced their band, who were young Busan music students – shy and awkward as the girls screamed at them, but grinning from ear to ear. They wheeled a toilet out on stage when they performed “Born Hater”, a prop from the music video. Kpop singer Lee Hi joined in to sing Cho Won Sun’s part in “Happen Ending”, a classy piano track which is huge in Korea right now. I hadn’t paid much attention to her until I heard her rich, full voice live. Count me as a new fan. 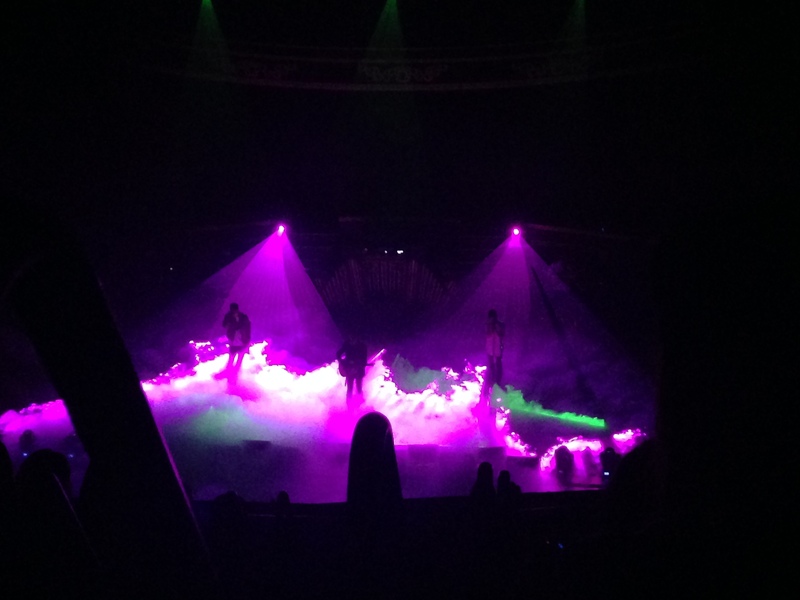 Epik High’s concert was like your most fun dude friends throwing a great party. They will be performing at South By Southwest this year, so if you’re going to that I highly recommend you go see them, and have as much fun as I did. 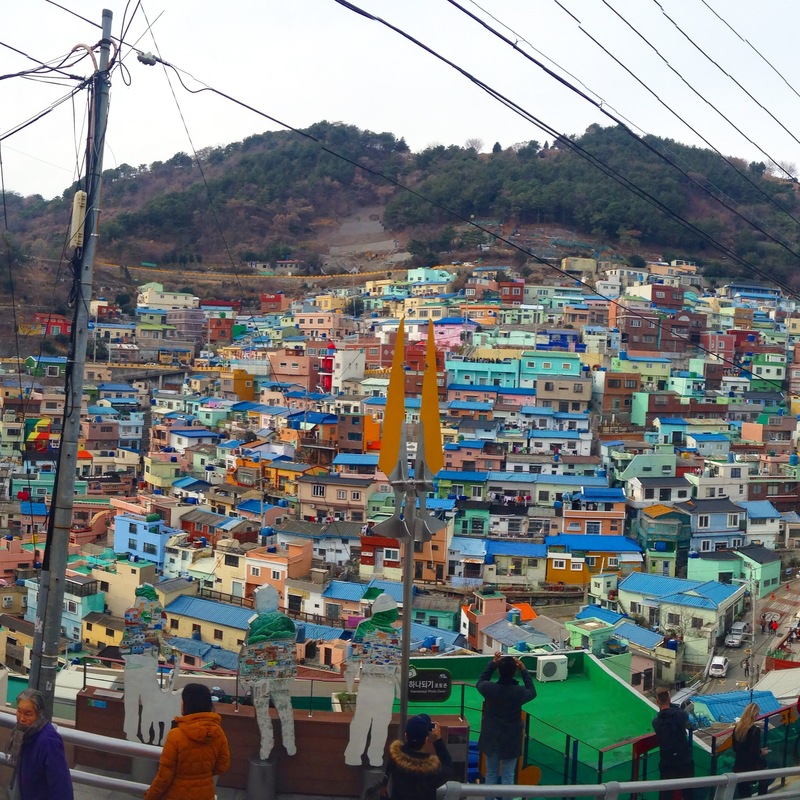 Gamcheon Village is a famous “mural village” in Busan. Me and Nelli, a New Zealander with a DSLR, wandered around endless alleys, up and down stairs, poked in and out of tiny art galleries and looked for hidden treasures. Cats played on the multi-coloured stairs. I saw laundry and vegetable gardens. People really live in this surreal, charming place, many of them artists who benefit from the art-loving tourists coming to visit. A dream town for dreamers. I loved it. Our Busan tourist guide said there was an amusement park, a temple and a museum. Sounds like the place to be. 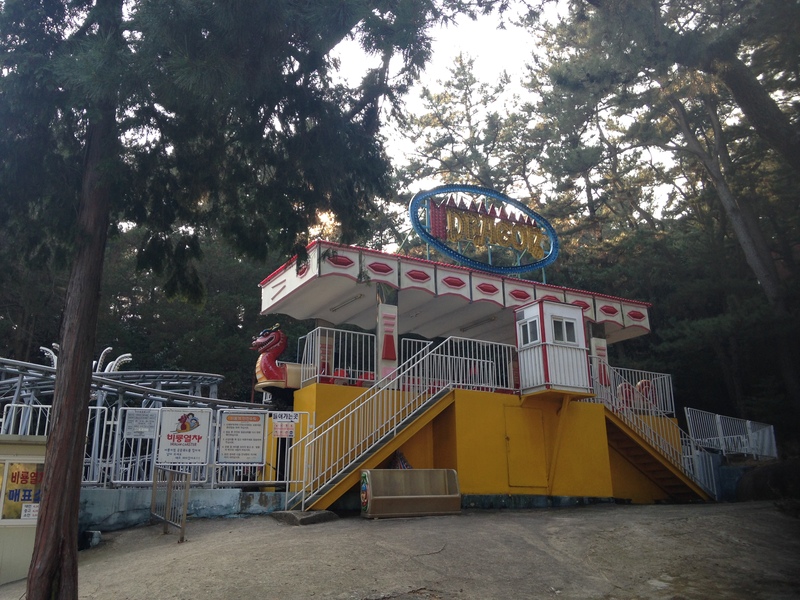 Instead of the cheery sound of fairground music, there was nothing but silence at the empty amusement park – which was three rides near each other. Further down the track was a temple and a shrine. With almost no one else around nestled amongst the trees, I felt an eerie sense of calm. Busan is famous for the huge Jalgachi Fish Market, where all manner of marine life jump out of their tanks at you. Here, the merchants chatted to Nelli and I as we sneakily took photos of weird fish. “Hello! Where are you from? Would you like some fish? 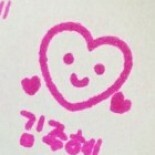 It’s very delicious!” That Busan friendliness. I love it. We perused the fish markets in the area, finally settling on a place with hwe (raw fish) that was behind a market stall, through a stinky kitchen and up a narrow flight of stairs. I have a theory that tiny Korean restaurants that don’t look very fancy and are run by ajummas are the best – and I’m usually right. 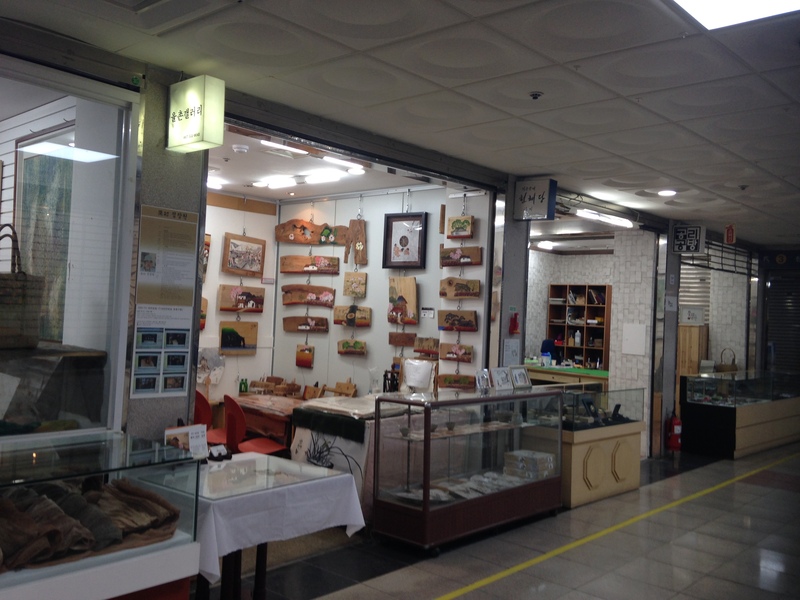 Across the road from the Jalgachi Fish Markets is a fantastic market and shopping area where you can find absolutely everything – from stinky street food to high end fashion to cutesy gifts to fancy lightbulbs to traditional Korean artwork. 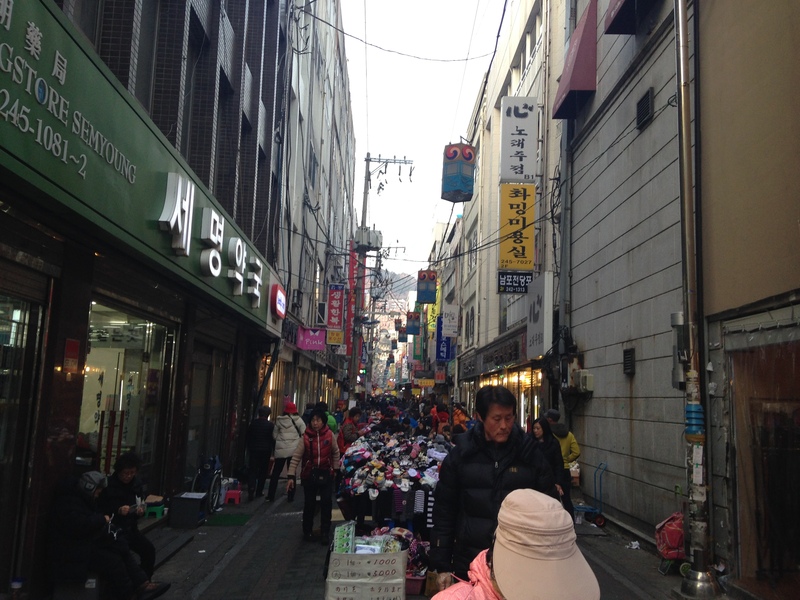 It was one of the best shopping areas I’ve seen so far in Korea. More fish, but not for eating. Huge sharks and giant manta rays swam over our heads and under our feet. There were also penguins and I hyperventilated from too much cute. This entry was posted on January 23, 2015 by Ellie in Korea, Second Korean Trip and tagged Busan, busan Aquarium, Busan International Film Festival Markets, Gamcheon Culture Village, Geumgang Park, Jalgachi Fish Market, Korea. 2NE1 9 Muses of the Star Empire adoptee adoptees adoption anxiety Approved for Adoption Australia A Werewolf Boy Beijing birth family birth parents Brisbane Busan Busan Tower cat cafe China Chuseok cooking Coreanos culture documentary dog cafe EFL ESL family feelingz files food G-dragon G.O.A.L Gangnam Geojedo Geoje Island Gyeongbokgung Palace Hae Dong Yong Gung Temple hoe home Hongdae identity introduction Itaewon Jinju Jongno kimchi Korea Korean Air Korean Film Festival Korean food Korean language Korean women KoRoot kpop language life Lunar New Year Myeongdong Namdaemun parents racism reunion Seoul sisters soju Suncheon TALK program teaching The Thieves Tongyeong To the Motherland turtle ship umma umma and appa unni WTF!!! !